Christopher Swan is on a big adventure! 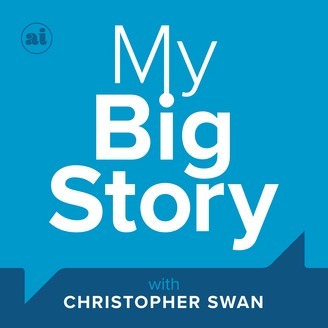 In My Big Story with Christopher Swan, he’s literally on a plane, train, or automobile, traveling the USA (aiming for the world! ), interviewing uniquely inspiring people. He’s uncovering stories from voices that may not be heard, crossing boundaries of diversity, uniqueness, and beliefs — stories that inherently celebrate our differences. These thought-provoking conversations are with people that have taken chances and carved out uncommon paths. Through these interviews and stories, Christopher uncovers ideas, dreams, and truths — and in turn, his big story unfolds — to create a world where everyone belongs. 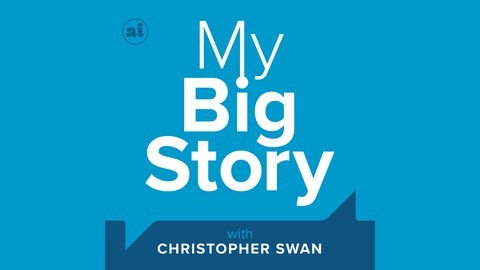 My Big Story is available everywhere you listen to podcasts. Subscribe, catch up, and I’ve got more seasons coming your way. Also, you can find out more about the show and go behind-the-scenes for each episode at MyBigStory.show.